There was this dire need to educate the people about the truth and mobilize them to defend their rights. 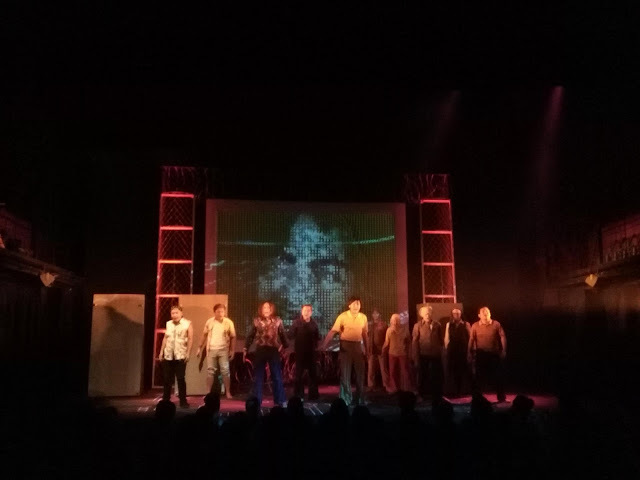 The Philippine Educational Theater Association (PETA) was born “with the vision of a Philippine Theater engaged in the development of people and society”. 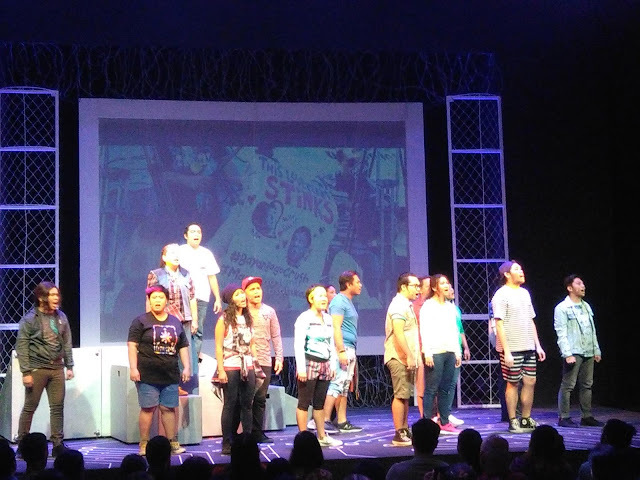 PETA may have been in the limelight lately for commercially successful productions like Rak of Aegis and Caredivas but it has the heart of a protest theatre. It is only fitting that they have created A Game of Trolls to promulgate awareness at a time when apathy and cynicism seem to be trending. A Game of Trolls pokes fun at millennials and/or tries to educate them with written history, not the one posted online when you click a hashtag. It tells the story of Heck, a keyboard warrior who struggles to find his identity through political inclinations of his job, family, friends and the current society. He works for a company of “internet trolls”, led by his boss Bimbam, which has the goal of spreading pro-martial law campaign. At the same time, his relationship with his mother declines with their abandonment issues. Heck’s Nay Tere is an activist who was also survivor of the atrocities of the Martial Law regime. Ghosts of Martial Law victims from the “internet cloud” visit Heck to try to convince him of true stories of horror in their era. 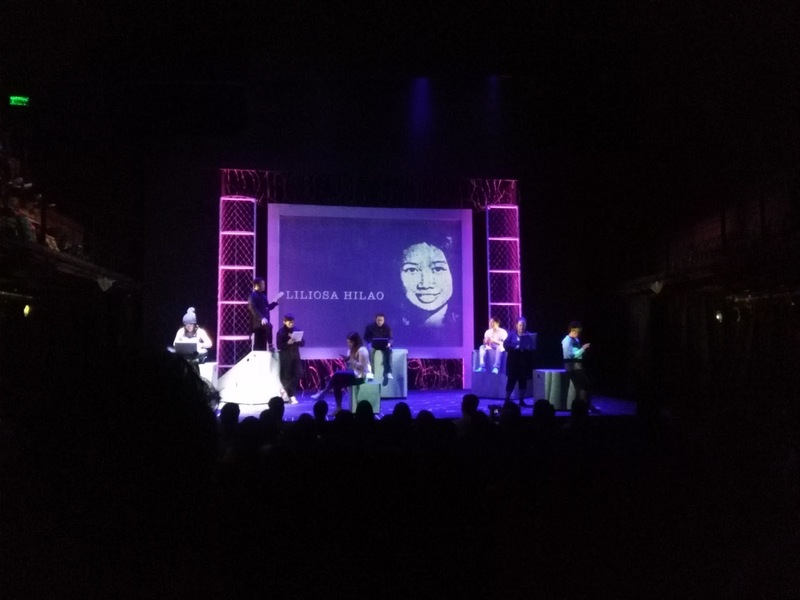 Dr. Bobby dela Paz, Edgar Jopson, Eman Lacaba, Macliing Dulag, Sister Mariani and martyrs of the Escalante massacre invade our protagonist’s consciousness as we see slices of history. Fast forward to ending, Heck did a 180 following an incident involving his love interest, Cons, at a fake concert organized by the “troll company”. 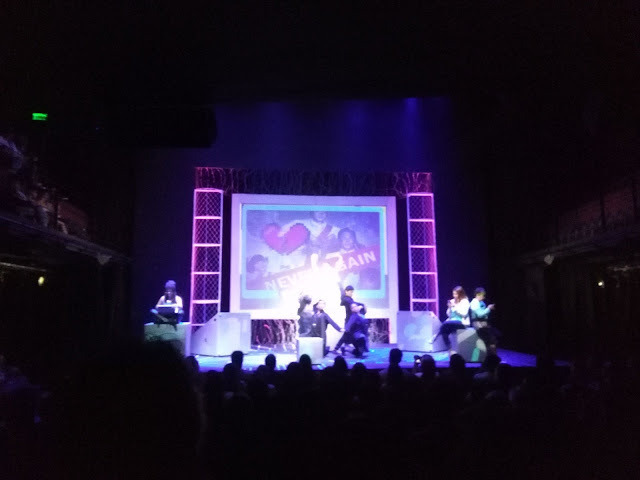 Setting aside the predictability of the plot and aesthetics, playwright Liza Magtoto, director Maribel Legarda and composer Vince de Jesus were able to answer the question “How are we going to tell the truth about Martial Law to the millennials?”. The production team was able to establish relatability and provide facts through social media jargon, cringe-worthy romance subplot and even a flip top battle that will leave you shookt. It’s like spending an entire day on social media without scratching your head. Entertainment value is high. It’s a lecture presented through art. TJ Valderrama (alternating with Myke Salomon) gives an absorbing performance as Heck and makes us understand why this generation is so confused. Upeng Galang-Fernandez’s gave a chilling monologue about Nay Tere’s past. The entire cast was able to display talent in music and facts. The important thing in this musical is its goal, the truth. The world has become smaller. Technology is advancing while society is descending. We’re supposed to learn from the past, not from memes. Current political debates have not been as healthy as it’s supposed to be. Social media has created a culture of short attention span and quick decisions. With the present sorry state of our society, A Game of Trolls wishes to eradicate trolling for truth. Verdict: A-. This should be watched by every millennial. Or even every Filipino. 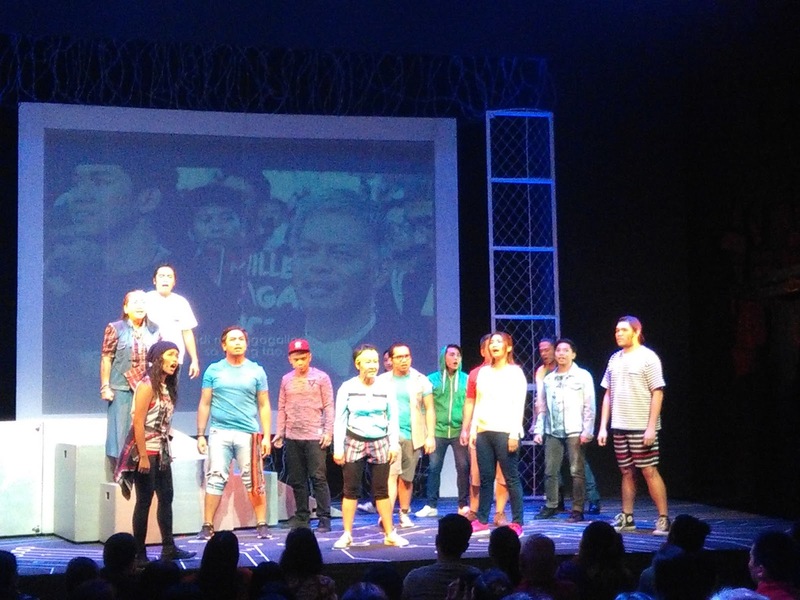 A Game of Trolls runs at the PETA Theater Center for the entire September.